But many of them struggle to do so. I covered why so many entrepreneurs struggle with this important skill in this post. 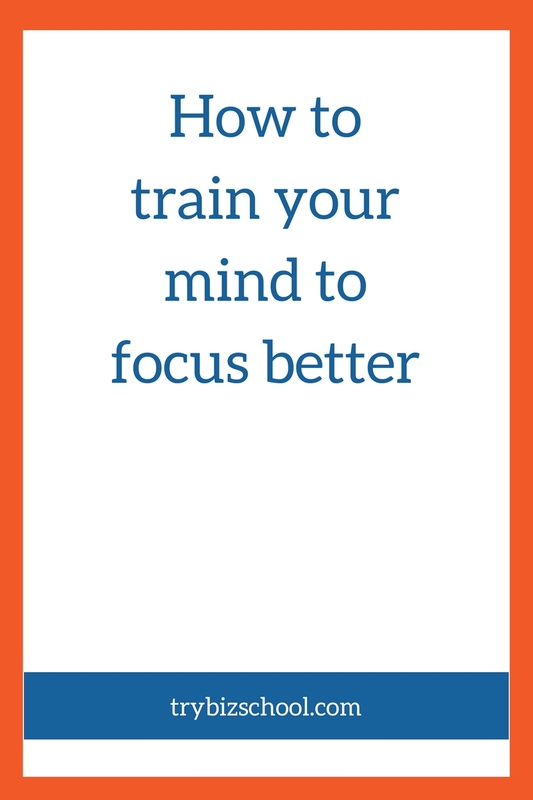 It also includes ten strategies for helping you improve your focus. Today, I’d like to dive a little deeper into one of those strategies for helping you get better at focusing: meditation. Welcome back to the Entrepreneur Survival Summit. I’m your host, Sonia Thompson and we are continuing along with the bonus section of this event, your well being. If you want your mind to operate at peak performance, you’ve got to train it. A fantastic way to train your mind, and this is backed by tons and tons and tons of research, is meditation. I’ve invited Morgan Dix, the co-founder of About meditation to come and give you some information about meditation: the way it works, how you do it and how it can benefit you as an entrepreneur. Let’s get to it! Here’s Morgan. Hey, Morgan! Thank you so much for joining me today, how are you? Great, Sonia. It’s great to be here. I’m honored that you invited me, thank you. My pleasure. All right, let’s go ahead and dive right in. Tell me, what exactly is meditation? It’s a thing we hear about all the time these days, so what exactly is it? All right. There’s a couple of ways to answer this. If we think one simple metaphor that is helpful for a lot of people, is it’s training for your awareness. A common metaphor people use is, I think, if you heard of that Headspace app, it’s a meditation app. The way they describe it, it’s the gym membership for your mind. I tend to think of it, it’s really training for your awareness. What does that actually mean and why is that significant? Because, obviously, we use attention, we use our attention for everything. We use it for everything we need to do on a given day. The quality of our attention affects that. Your decision-making capacity, your thinking capacity, your ability to be light on your feet with like you have to be responsive to the dynamic context that you’re working in, especially as an entrepreneur. It’s really helpful if you can optimize the quality of your attention and that’s part of what meditation can help you do. In this context, of it being a gym membership for your mind, what that means is like let’s take an example, one example of a meditation would be focusing on counting your breath. That’s a very common meditation technique or practice. What happens when you’re counting your breath, you’re in an inward position of being relaxed and being very still, being very calm. You can meditate with your eyes open or your eyes closed, but you put your attention on just counting your breath. Maybe one to five, one to ten. You just count each breath, inhale and exhale and then you repeat it. That’s the entire meditation. But what you start to learn in that process is that your mind wanders away and you start to see that if you do meditation for 5 minutes or an hour. Anywhere on that spectrum, you start to see the degree to which your mind wavers. It’s very hard to just keep your attention on one thing. Meditation is the exercise of one-pointedness or single-mindedness. In the process of trying to keep your mind on one thing, you are … Basically, it’s a process of bringing your mind back when it wonders. That is the equivalent of doing the reps in the gyms for your muscles. That action of bringing your mind back to the anchor, and in this case the anchor is your breath. I would say that’s one way to think about meditation. It’s training for your awareness, it’s learning how to focus on one thing. Over time, as you begin to do that, and you become more proficient at it. It’s like any skill, it’s a training, you can get better at it. More and more of your entire being aligns with that activity. All of you starts to line up behind that action. There’s a wonderful feeling of calm resolution when you practice that. That’s, I think, what a lot of people think of or relate to in terms of meditation. Does that make sense? It does. I’ve never heard it described in that way before, but I love it because it puts a very … Because I think when people hear meditation, they feel like it’s all this woo woo woo stuff and it’s not. It kind of gets a bad rep. But the way you just described it is a way of … It does have that calming effect to you, but we do need training for our mind because our mind is essential for us to be able to get things done in a day. We get stressed all the time, so meditation is the opposite of stress. If stress defuses our attention, meditation unites our attention. I was going to ask okay, so meditation unites your attention and it helps calm your stress and it gives you the ability to focus. How does that then play out for you in other areas of your life throughout the rest of the day? There’s a lot of things. If you sit down in the morning and you take that 5 minutes or 10 minutes or 20 minutes to just do that practice. Say, you even get one or two minutes of really dropping into this sort of unified place that we’re talking about. That really has a very deep effect and it can create a quality of focus through your entire day that you carry with you. Because it’s almost like, so I love … I meditate first thing in the morning, but I also go to the gym every morning. For me it’s very similar, just like I need … I want to prime my body and I want to fill it with endorphins before I get into my day, because I feel then I’m optimized, I feel like I’m just ready for whatever is coming. Physically, I’ve already optimized my body, I’m in the best state, the highest kind of most optimized state. Same with meditation and how it influences and almost conditions, in a very positive way, your mind and your attention, so you go into the day, you’ve already … in a certain way, you’ve just taken care of it. You’ve taken it to the gym, it’s ready, it’s primed for activity. Mindfulness would then be the quality of how you bring that meditative focus that you’ve generated in the morning into your active day. The quality of attention your bring to the performance or activities of your day. Okay. All right, because that’s where I was going to go next. It helps you focus … Once you’ve trained your mind to be able to focus through the process of meditation. The benefits after you get up from wherever you’re meditating is the ability to focus much more efficiently throughout the rest of your day. Definitely. I think that’s true. Okay, so the question I have now is I hear the word meditation and I hear the word mindfulness. I think you just sort of mentioned it, but can you just clarify what is the difference between the two? All right, it’s an awesome question. The difference, I would say is mindfulness is meditation in action. One of the formal definitions of mindfulness is just it’s a state of present moment awareness, undistracted and not focused on anything in particular. You could be focused on one thing or another thing, but let’s use, like say, one of the big advocates of mindfulness is this guy, a Zen monk, I’m sure you’ve heard of him, Thích Nhất Hạnh. His whole thing is when you’re doing dishes, just do the dishes and he’s just like feel the water on your hands, feel … What does it feel like to be standing there, rooted in place against the counter as you’re doing the dishes? What’s the ambient soundscape around you as your doing those dishes? You’re really present to your five senses. You are aware of what’s happening. If your mind’s wandering all over the place or if sometimes when you’re doing dishes, you may be ruminating on something that went on during the day. It’s also being attentive to that. But you’re not going and just losing yourself in any of it. You’re really just attentive to all of it. You’re really attentive to your experience in the present moment. Mindfulness would be … I would describe it as meditation in action. It’s really the present moment, quality of awareness that you bring to your activities. Really, just being with what you’re doing completely. Got it. It’s kind of the opposite of multitasking. Oh, totally. I think multitasking is … in some ways it’s a convenient fallacy. I really … I’m not sure that’s an attainable thing. It’s like, I think, you can train yourself to do a lot of things quickly in succession. I would say it’s very hard to do two things at once, just because again, it comes back to quality of our attention. I think it becomes divided and as soon as it becomes divided, in my opinion, I think it bears out, people can relate to this, you just become less effective. You bring less of yourself to the task at hand. Got it. Okay. I guess the act of being mindful, that meditation helps that you’re at for. Does that help you get more into a state of flow? Because I know, flow is the thing that people want you to get into whenever you’re working on a project and that’s your best output. Does that … pave the way for you to get there? A friend of mine described it, it’s this point at which the demand of a certain task or event just exceeds your skill and capacity. You’re just right behind the curve. There’s that tension that’s pulling you into life, really. But there’s a certain powerful tension, a creative tension, I think you could call it, where that little gap is like … the thing is really … it’s like pro surfers, like when they’re going up against that 40 foot wave. It’s like there’s no guarantee. He is like the best surfer on the planet, but no matter what, even if you’re one of these big wave riders, that’s always going to be slightly beyond you and there’s some other capacity beyond your mind that’s going to need to kick in. It’s reflexive and you just boom, you’ve got to be … there’s no margin for error. Does that make sense? It does. It does. They are sort of progressively built upon one another and I think that’s something that we need to be able to operate at a high level consistently for our business. Let’s talk a little bit more about the practical mechanics of meditation. You mentioned before you meditate first thing in the morning. Do you get the most benefits out of it whenever you do it in the morning or does it matter? Does it need to be done the same time every day? How does that work? That’s a great question. I like to meditate in the morning a lot for the reasons I told you. I like to almost like set the ground for the rest of my day. If I’m going into my day, what are all the things I can do that are going to ensure that I’m going to be focused on the things that are most important? I’m going to be most productive. I’m going to be the least neurotic. I’m going to be on … one thing I do is I like to … we’ll come back to this. I like to do it in the morning for that reason. I think, a lot of people like to meditate in the morning and they find it beneficial to meditate in the morning for that reason. It aligns you with your deepest or best self, or maybe someone would say it centers you and grounds you, but it gets you ready. Now, that can happen any time of the day. Meditation is going to bring you, with practice over time, it will bring you into that calm, centered place. There’s a certain benefit of starting your day that way, that I like to emphasize. But you could do it, some people meditate to really close out the day, because it can be a sweet way to just let go of … I just went thought the arch of a day, there’s something … When you go into bed, it’s just like all right, I’m closing that chapter. I’m just letting it go, I don’t want to take this with me into sleep. I’m going to just let go. If your day is crazy and you’re freaking out about something, I think, it can be helpful to just stop or pause for a couple of minutes. Eyes opened, eyes closed, whatever. Just gather yourself and just be like all right, I just need to reset here for a moment. Okay. Do we need to meditate for … is there a certain amount of time that you need to do it for? Some people do it for 5 minutes, some people 20, some people an hour. Another awesome question. I think, for me, I love to put the emphasis on consistency instead of time. There’s a couple of reasons for that. I think, you’re going to get more benefit over time if you do 2 to 5 minutes a day versus once a week doing it for 20 or 30 minutes. Because I feel like meditation … it is a cumulative thing. It’s like compound interest, it builds over time. It’s like playing an instrument or a sport. The more you do it with consistency, it becomes more solid. Your abilities become more refined. I’m not a big fan of punctuated, big surges without a consistent thread that knits it all together. I think, that’s wonderful and fine and even necessary as you get serious about meditation, to do deeper plunges like you, when you went on that retreat. Amazing things can happen. But if there’s something about just the steady, drip technique where you’re just doing it every day. Then, when you’re ready, then you can increase it by a minute or 2 or 5. Because it’s so challenging, people also … they can peel off if they set themselves a bar that’s too high in the beginning. Got it. Okay. That brings me to another question. Like you said when I started meditating, I went to an ashram and I was there, we meditated twice a day, every day for the time that I was there. It took me a little while to just train my mind. Because the first couple of times I was just all over the place everywhere. My mind was everywhere. I imagine, when people start it, if this isn’t something that they’ve been doing, it might take a little while for them to get their mind … wrangle it in a little bit. Is there a … and everybody’s different, of course, but is there a minimum amount of time that you need to start working on it before you can expect to see some kind of tangible result? Because I know a lot of people are results driven. Yeah. It took me a long time to get real benefits out of meditation. I practiced with relative consistency before I also got really seriously into meditation. Then still, it took a while. I did it because I was in a communal context which reinforced it, it was part of our daily schedule, similar to yours. I would say, because everyone’s a little different, it is actually going to be different for everyone. I’ve met some people who within … They’ve done meditation once for 10 minutes and they were like, “That was amazing.” Then, there’s someone a little bit further down the spectrum like you. You went on a retreat and it took a while and then boom. Then, there’s someone like me. I feel like probably I was a little bit of a hard case. Then eventually I had a breakthrough and then I was like, “All right, I’m sold.” I think, that’s also why I like to encourage the smaller increments of time. But just to let … to give it a fair shake, I think, you need to try it for a couple of weeks with consistency to find out. Got it. All right. Do you recommend … I know there’s just kind of sitting there and focusing on the breath, the way you recommended in the beginning. But I know there’s also this thing about guided meditation. What’s the difference there? Is the one recommended over the other when you’re just getting started? The difference is with guided meditation, they’re super helpful because we’re not always used to just sitting there and doing what we talked about, of just keeping your attention on one thing and bringing it back and bringing it back. The value of a guided meditation is that someone’s really doing that for you. In a certain way, their voice is serving as that anchor for you. It’s a replacement for instead of you counting your breath, it’s their voice and their guidance, which is keeping you coming back to that focus. Also, someone who is really any good at guided meditation will also be transmitting or communicating their own quality of presence, their own quality of calm and that will naturally transmit some of that aspect or some of that quality to the other person. I think, they are very useful when you’re starting out. At the same time, I definitely would recommend, at a certain point when someone feels ready, to wean themselves off of that and to develop more of an independent practice. Because that has its own rewards and eventual riches which come just through your own … it’s the fruit of your own effort at a deeper level. Does that make sense? It does, it makes perfect sense. It’s a really good … it’s like training wheels when you’re learning to ride a bike. Yeah, exactly and there’s no shame in it, man. I just think it’s like … if you need to do those guided meditations, they’re so helpful. Also sometimes in ways that would be much harder on your own. They’ll give you the taste of that quality of attention that you’re going for. Got it. Very cool. Any parting words of wisdom for people who want to train their mind and use meditation as a way to do that? If you want to try marrying meditation to, say, your productivity. A really simple way to do that would be start with 5 minutes. This is just a very simple, little exercise. Start with 5 minutes in the morning of meditation and you can do this counting of your breath that we talked about in the beginning and just be with yourself, be relaxed. Don’t worry about whatever your experience is, don’t judge it, just let it be what it is and take that 5 minutes to just be quiet with yourself. After that, what I like to do is then look out on my day and say, “Okay, what is the one or two most important things today that I can do that are going to make sure that it’s a victory?” That helps me marry, in a certain way, my focus or my intention for the day with that quality of focused, calm awareness when I’m not defused from all … the incoming, which is inevitable. It’ll all start coming in. This is a chance to just create that focus on the target. It’s a really nice productivity stroke meditation exercise, very simple. Very cool. Very cool. Morgan, this has been so enlightening. Thank you so much for sharing with us today on meditation, how it can benefit us in life and especially in our work as well. Thank you, Sonia, it’s a pleasure and good luck. This is such an awesome thing you’re doing and I really appreciate being part of it. Now, if you don’t already have a meditation practice going, you should totally give it a shot. Find a comfortable spot. Set a timer for two minutes. Close your eyes and count your breaths. Once you’re done, come on over to the private Facebook group and share your experience. We want to hear all about it. Until next time, keep working on building your dream business, so you can make life better. Somebody’s waiting on you. See you soon. My plan is to review all of your past post. Buy a special note Pad, and elegant pen for notes. Make a 1 year goal plan broken down in 3 month goal post. and focuss. Once I get a solid plan up and running. beat and I’ll be an moving example for all the dancers to notice. defintely going to get he meditation app. Tai Chi is great for mindfulness and meditation. Preparing for a hand surgery and shoulder should be up and running in a 3 months from July. Glad to have you here Greg. You always list so many wonderful benefits of tai chi – I definitely look forward to trying it one day. All the best to you with your upcoming surgery :).